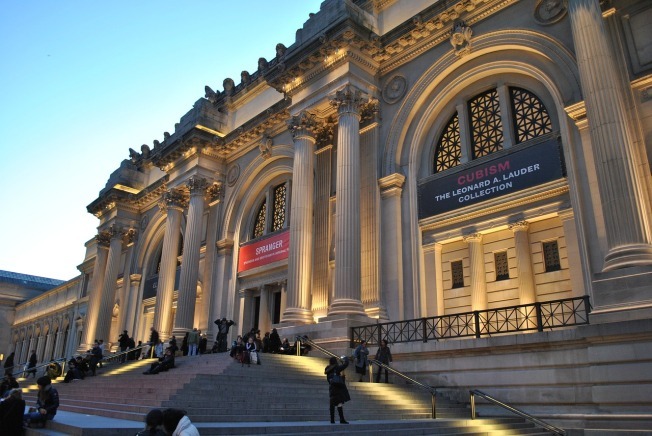 On Thursday, March 1, the Metropolitan Museum of Art will begin charging a mandatory $25 fee for non-New Yorkers. Since 1870 the museum has encouraged a $25 donation, but due to decreasing donations they have implemented the new rule. Entrance remains free for children under 12 and pay-what-you-wish for students in New York, New Jersey and Connecticut. Students from outside the tri-state area will be charged $12 and seniors $17. New York's Metropolitan Museum is now charging a mandatory $25 entrance fee to most adult visitors who don't live in New York state. The new policy, announced in January, took effect Thursday. Entrance will remain free for children under 12 and pay-what-you-wish for New York state residents and students in New York, New Jersey and Connecticut. Students living outside the tri-state area will be charged $12 and seniors $17. People from all over the world had been able to come to the museum for nearly nothing since its founding in 1870. But the number of people willing to pay a suggested donation of $25 dropped off substantially in recent years. The New York Times says that initially, New York residents who show up without proper identification will be asked to bring it next time.